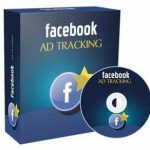 The timeline traffic smasher video series brings you 10 videos of over the shoulder tutorials to help you create a traffic busting facebook timeline. It’s easy to jump on the new Facebook Timeline layout and start one the wrong way, and by doing so, lose out on possibly branding your business that can ultimately lead to potential prospects and fans inevitably leading to a more lucrative business. In this video series, you will learn how to use the timeline the right way. On March 30th, Facebook forced a huge environment change which would affect all businesses. Unless you’ve been hiding under a rock for quite some time, or don’t use Facebook, long gone are the days of trying to force your visitors to like your page through squeeze pages and tricky tactics. Facebook converted all pages to what they call the new Timeline format. While this allowed for more organization of a company’s history dating all the way back to the 1800s, it set many businesses that were utilizing the previous platform back a few steps. You see…Facebook doesn’t believe that a business should be too promotional, in fact they dislike it greatly. Then how in the world are you supposed to use Facebook for your business effectively? Well to be truthful, it all comes down to knowing how to utilize it and the initial (and continued) implementation. Showing your company’s personality enables you to effectively “Brand” your business. One thing I find businesses often lack is the ability to brand themselves, they go straight for providing a product without much thought into this. So back to your question: How can you use Facebook effectively? Well fortunately, with the new timeline selling is a little more indirect through branding of your company personality. Did you know there are added features that can help you build your brand? If you do it right, like other companies, you can really utilize their new platform for your business. Want to learn how it works along with strategies to maximize this technology so you can push your business one step ahead? Now you must learn to use the new Facebook Timeline layout effectively. You simply follow Facebook’s timeline system. Do it right, but also effectively with the simple and easy strategies we’ll provide to you. This step-by-step 10 part video series takes you by the hand and shows you how to properly setup your Facebook Timeline so that you can brand your company the right way – and effectively. It’s time to build and strengthen your business brand and create an experience people will want to come back to. You’ll learn strategies you can use starting today that will bring you closer to your ultimate goal. In this video series, you will be introduced to Facebook timeline, the formula in this video course, and what you’ll need in order to get started. You’ll also be given a quick overview of the video series so you’ll know what to expect, and with that you’ll be able to put the pieces of the timeline puzzle together in no time. Before you create anything you’ll want to do a little brainstorming. In this video, you’ll be asked to complete a checklist of questions so you can begin creating a list of information that you can use to create an effective Facebook Timeline. Want to understand how the Facebook Timeline works and how successful companies are using it? In this video, you’ll learn the pieces of the Timeline that make it powerful. Understanding this is very important so that you can effectively create your own timeline for your business. The cover image takes up a large portion of the header of the page and is vital because it is often the first image people see. In this video, you will learn what makes a good cover image so that you can make an impact and stay in the minds of your fans. You’ll also be shown how to outsource the cover image, and even how to create one yourself. The profile pic is right below the cover image and is important as well. In this video you will learn what makes a good profile picture, along with what strategies you can take to brand yourself. The messaging feature has been added as a new feature to the timeline. Use it wisely and you can deepen the relationship between your friends and your company. In this specific video, you’ll learn how to utilize this small area to your advantage. The About section is located right below the Profile pic and allows you to enter a small amount of words. You can also include links to your website, to your opt in page, and much more. Use this area wisely and it can impact your timeline positively. The Apps section is located below the cover image, centered and to the right. In this video, you’ll learn how to really take the branding of your business to a whole new level just with a few simple, yet powerful ninja punches. Pinning your posts allows you to move a post to the top for seven days. However, while it is easy to just pin any post, you’ll want to choose your posts wisely and ensure they include several key items to avoid lowering your edge/rank and losing fan interest. Milestones are events that happen during your life or the history of your business that mark something of significance. While it is easy to talk about yourself and your business, you must avoid doing it in a manner that will lose your fan’s or prospective fan’s interest. While the timeline allows you to show people events that are important in your business, you must lay them out correctly. 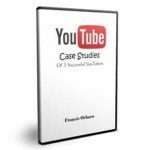 So, with that said, grab this video series so you can learn how to build your brand and create an experience that will boost sales of your products and services. This is the most risk-free way to learning how to setup your Facebook Timeline the right way. If your business is not where you want it to be, this video course will show you how to brand and create an experience that your audience is looking for.